George Edalji is a vicar’s son from Staffordshire. A quiet, precise person, he never really fits in with the local community, even as a boy. After qualifying as a solicitor, George begins work at a law firm in Birmingham, and produces a book on railway law, so that the ordinary ‘man on the train’ might know his rights. He is the original ‘upstanding member of the community’. When a series of events, ‘The Great Wyreley Outrages’, begin, George falls under immediate suspicion. 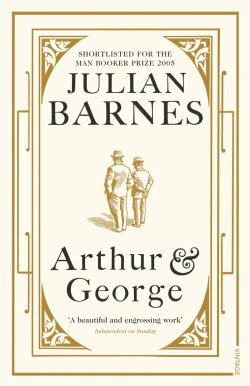 Animals are mutilated under cover of darkness, and a series of poison pen letters implicating George are sent to the police. The local police focus all their efforts on finding evidence against him, and he is eventually arrested. George’s faith in the legal system means he is confident that he will be acquitted, but instead he is convicted and serves three years in prison. Many people, however, believe in his innocence. As part of the campaign to clear his name, a summary of the case is sent to Sir Arthur Conan Doyle, who takes up his cause. Conan Doyle is a trained doctor, but is far more successful as an author. Conan Doyle is a complete contrast to Edalji. Born in Edinburgh, he is a larger than life character, and after studying the material he proclaims that he does not think, nor believe, George to be innocent – he knows it. He throws his full weight behind the appeal and carefully constructs a case that he takes to the Home Office, which he is certain proves beyond doubt that George is innocent and deserving not only of a pardon but of compensation. The one point on which they differ is that Conan Doyle is convinced that George’s race is central to the issue – George’s father is Indian, although his mother is Scottish. George, on the other hand, believes that, as he was born in England and lives according to English values, that he is completely and utterly English, and he refuses to admit that his father’s country of birth may prejudice people against him. This is based on true events, and it marked the birth of the Court of Appeal. The two stories intertwine, beginning with the childhoods of both men, and provide a detailed account of their early lives. It paints a very vivid picture of the two men and their completely different backgrounds. There is a lot of detail that isn’t directly relevant to the story at hand – much is made of Conan Doyle’s interest in and devotion to spiritualism, for example, but it all serves to build a complete portrait of the two men. This book provoked a bit of a ‘marmite’ response from the group. Most loved it, but those who didn’t really disliked it! 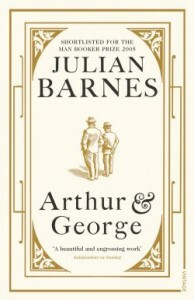 It is in many ways a very frustrating book as the miscarriage of justice is so blatant, and the police so prejudiced, that it is uncomfortable to read, but Barnes moves the plot along fairly swiftly, and in many ways it reads in a not dissimilar way to one of Conan Doyle’s own detective novels. The book for next month is The Round House, by Louise Erdrich. We will meet on Thursday 12th March.